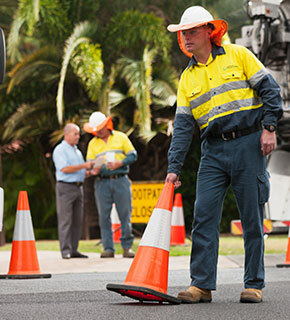 Before you access a Queensland Urban Utilities worksite you should be familiar with our site access requirements. Note: Contractors entering Queensland Urban Utilities worksites are also required to undertake a ‘Contractor Site Familiarisation Induction’ prior to commencement of work activities. This will be delivered by the nominated Person in Control of Worksite or Contract/Project Manager/Representative.